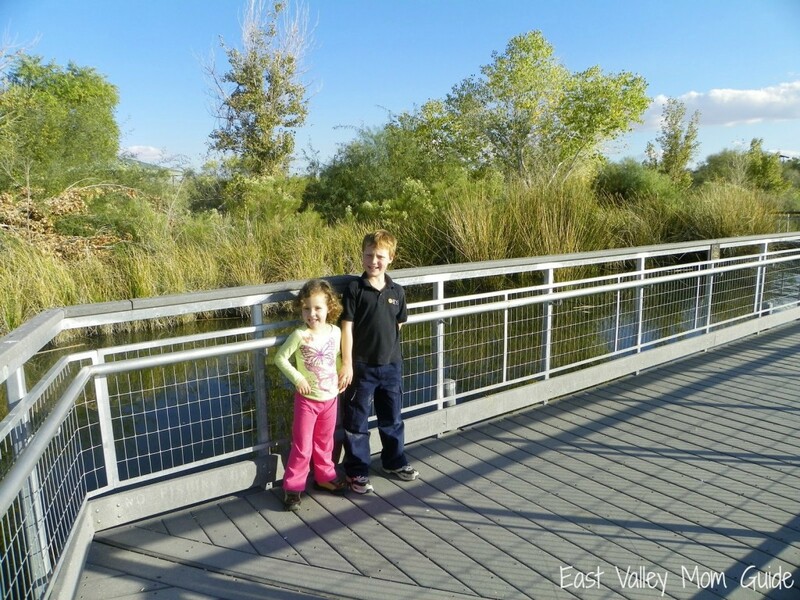 The Gilbert Riparian Preserve is a 110 acre island of wonder and intrigue right in the middle of suburbia. That may sound a little exaggerated, but trust me, the farther back into the preserve you go, the more you will forget you are in civilization at all. It is an amazing place. My children and I visited the preserve recently for a quick outing after school. I brought my camera in case I saw anything interesting. To my surprise, I ended up snapping dozens of pictures and wishing I had a professional quality zoom on my camera. 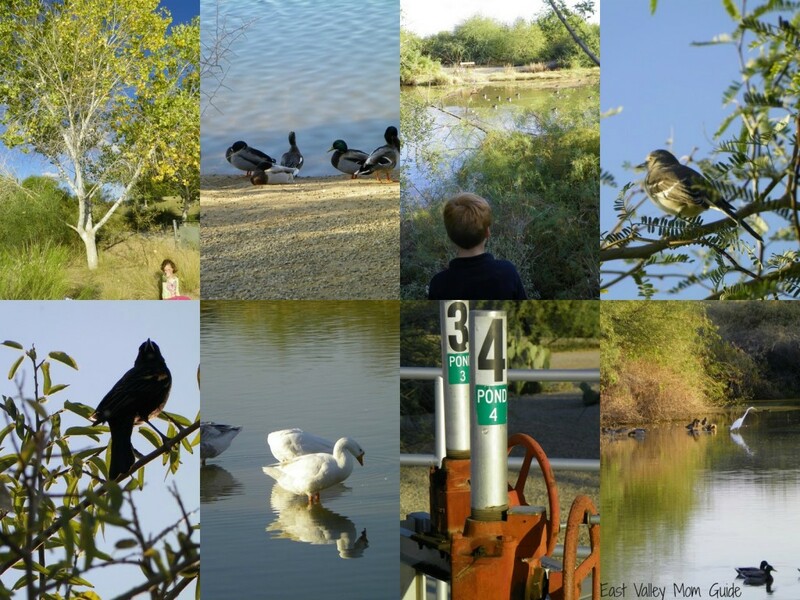 The Gilbert Riparian Preserve is a special place, True, it is a water recycling plant for the Town of Gilbert, but it is much more than that. 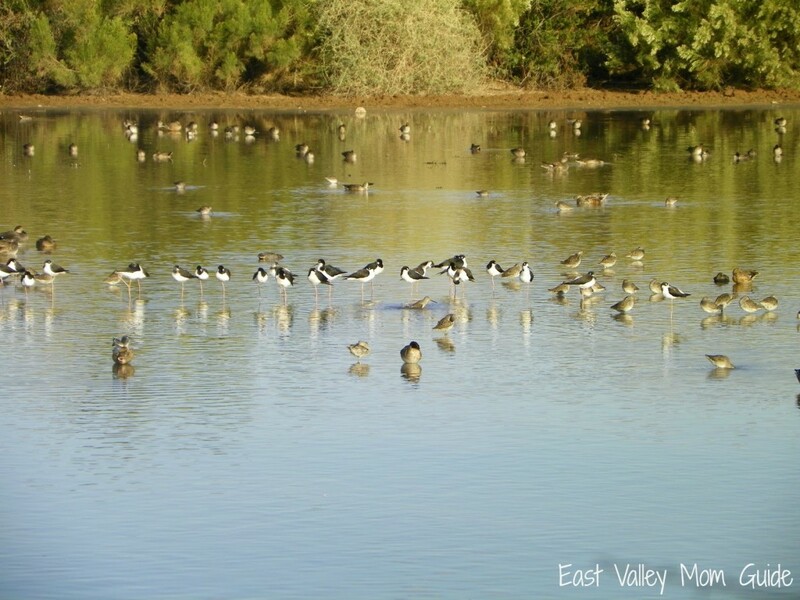 The genius creators of this preserve have designed a system wherein the water recycling process has a beautiful and wonderful side effect; it is a place where approximately 200 species of birds have been spotted. It is also a place of amazing beauty and tranquility. One minute we were in the parking lot of a crowded and busy library, and 15 minutes later we were surrounded by silence. My favorite part of the preserve was the birds. I could have sat there for hours just watching them. I love birds, especially water birds. While my children did enjoy the birds, after over an hour of walking, looking, and being shushed from time to time (birds don’t like noisy children), both of my kiddos were complaining of being tired. 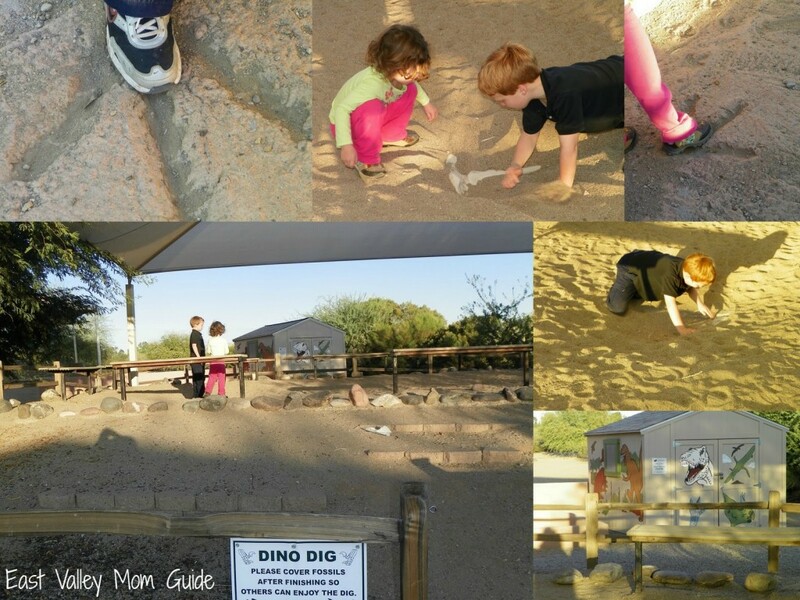 However, when we entered the area near the main parking lot, both children got a second wind of energy due entirely to the dinosaur dig and fossil features. 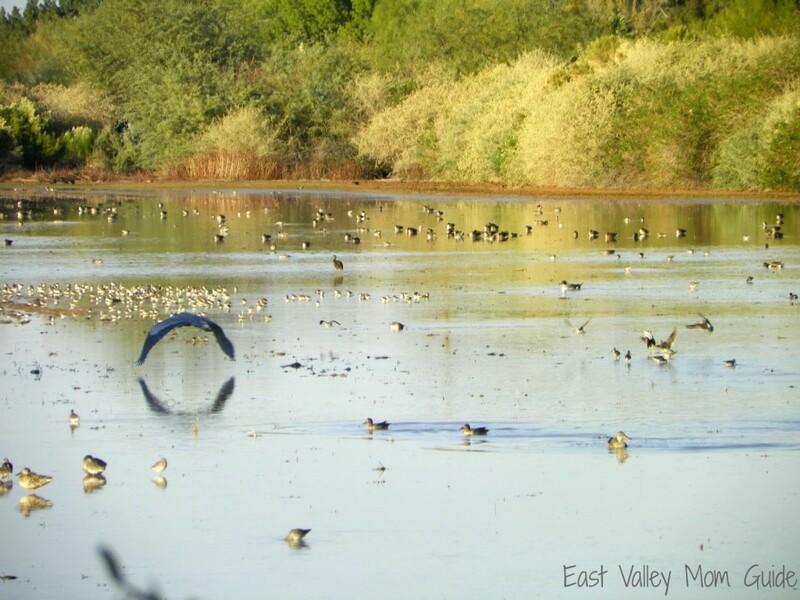 The Gilbert Riparian Preserve has many features and attractions which include fishing, guided bird walks, facility rentals, the Gilbert Royal Centennial Observatory, camps, and more. This is truly a gem in the east valley. 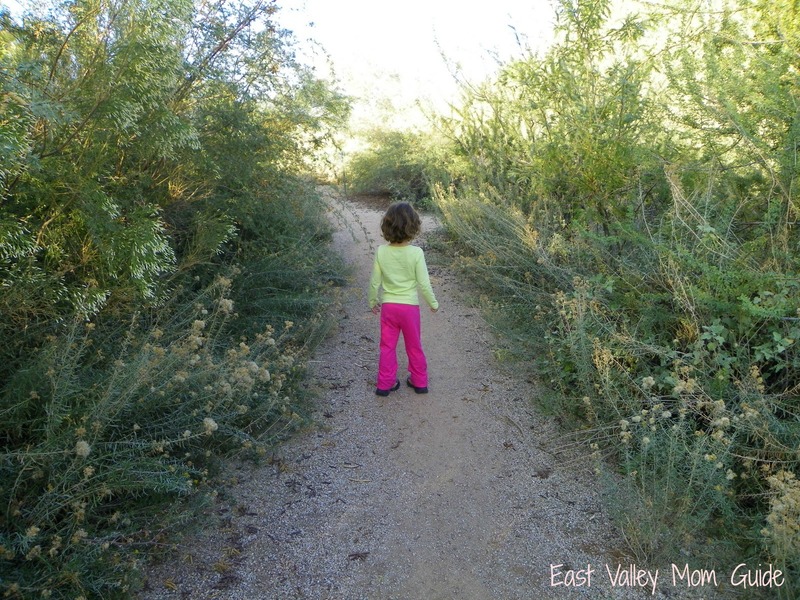 If you have not visited the Riparian Preserve, do it now while the weather is still so perfect.